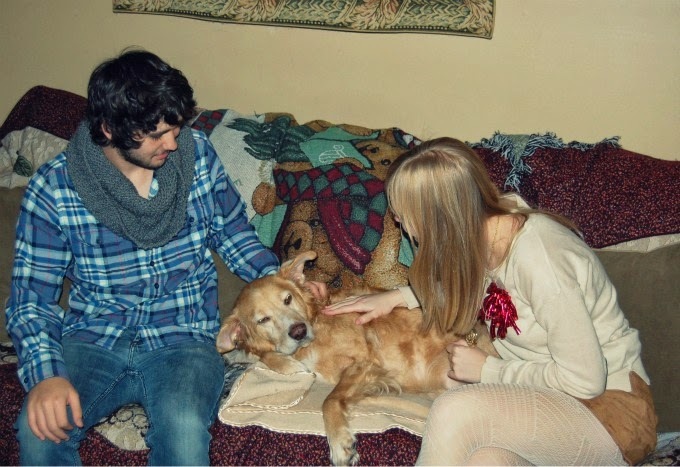 When it comes to quality time with Derek, I always prefer Christmas Eve to Christmas day. Things are so much more relaxed and Derek and I have the tradition of baking cookies and watching Christmas movies with each other. 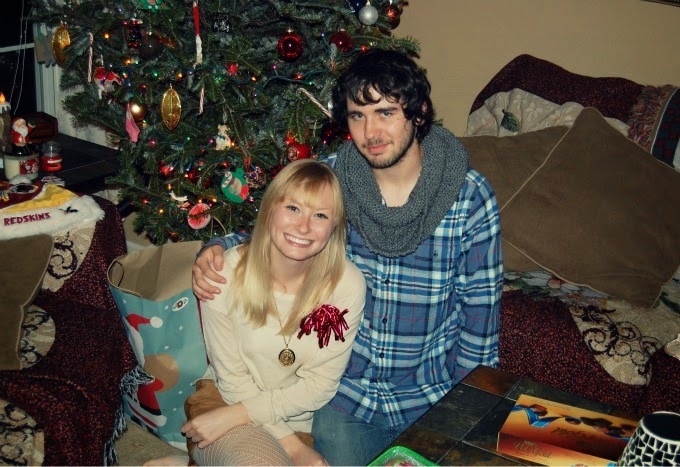 It seems like just yesterday that Derek and I celebrated our first Christmas Eve together, it's hard to believe that last year was our second Christmas together and that this was our third! I enjoyed each moment we got to spend with each other. 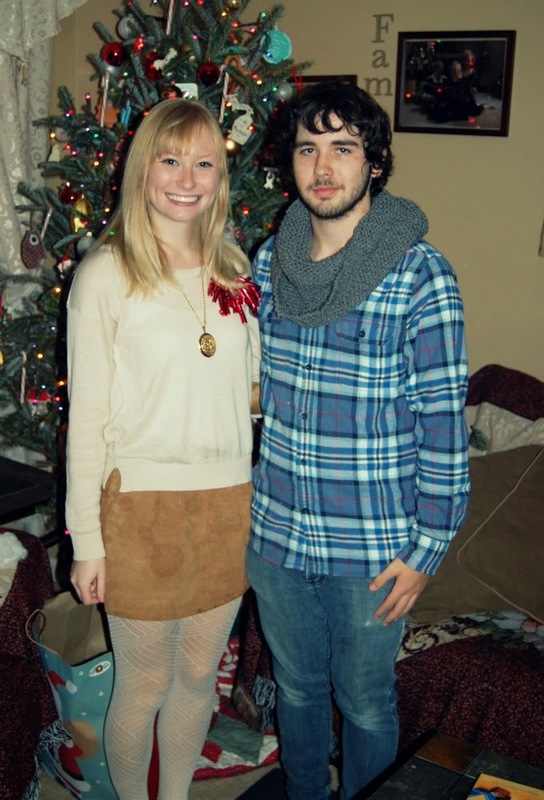 We opened up each other's presents first, I got him a new shirt from old navy, new moccasins (which I have to exchange because they are too small, ha), a stocking full of his favorite candy and "Evan Almighty", a book of pictures from the last year I got done at Target and I knitted him a scarf! 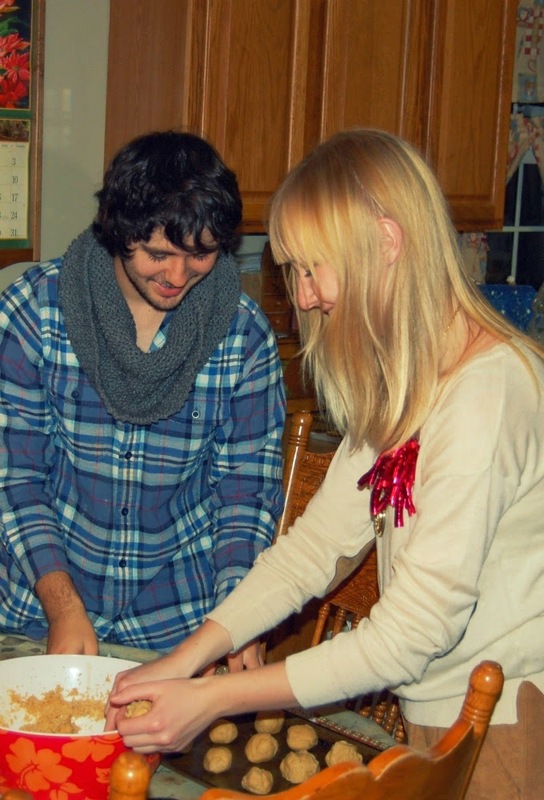 Remember last year when Derek bought me that beautiful ring? Well, this year he did just as good! 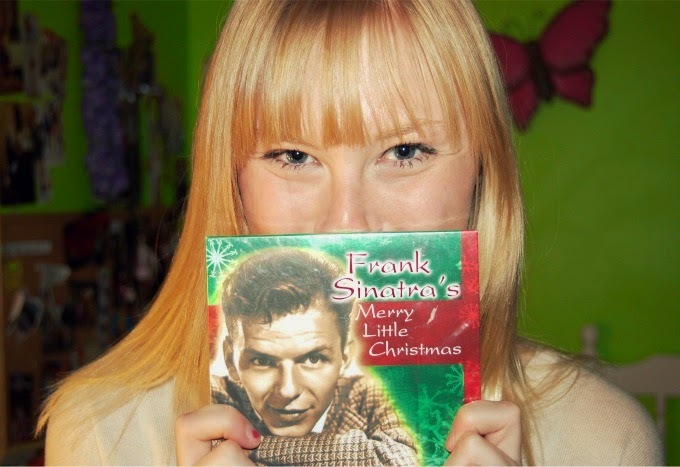 He got me a Frank Sinatra Christmas CD, two beautiful necklaces, and a kitten calender! He even made me a card using his graphic designer abilities. 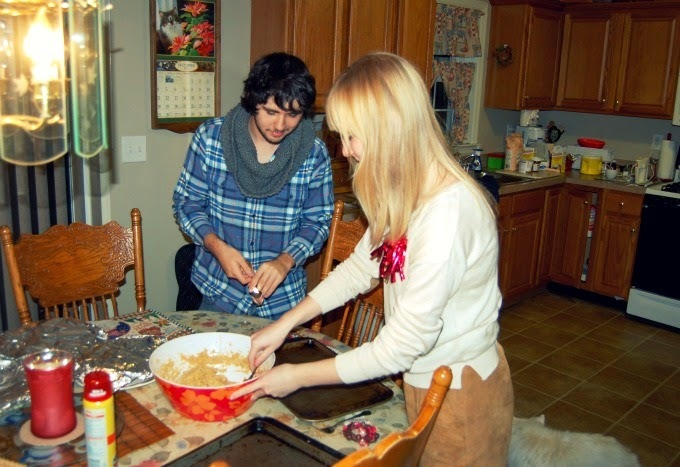 We then baked so many peanut butter and nutella cookies, it really was such a fun, laid back Christmas Eve. PS: Today is my moms 39th birthday! HAPPY BIRTHDAY MOM! Both of those necklaces he got for you are adorable! What sweet gifts! And Happy Birthday to your mama! How cute! What a great Christmas you have! That pendant (locket?) is gorgeous! 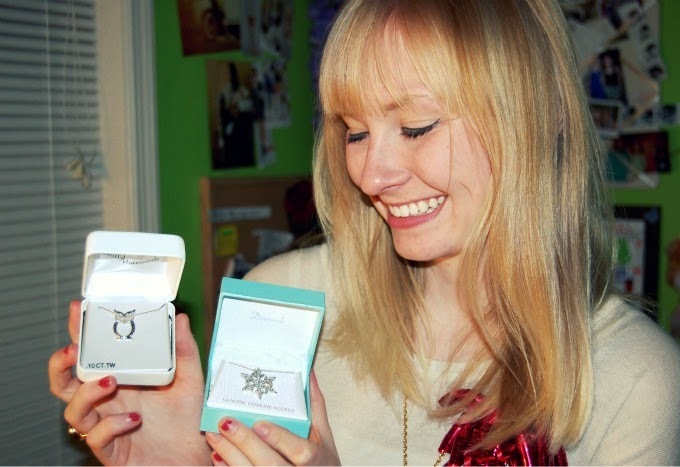 Kittens + jewellery = BEST CHRISTMAS EVER. What lovely photos. Seems like you had a really great time! You guys are so cute. And your dog is adorable. Oh my lucky girl! Santa's been very good to you! Look at all the pretty jewelry you got! 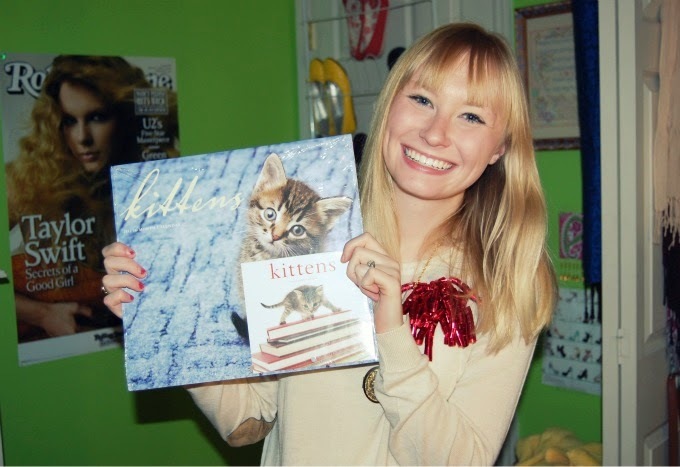 I don't know why but for some reason the picture of your overjoy at the kittens calendar cracked me up. haha. too cute. Merry belated Christmas and Happy New Year! Such beautiful Christmas memories, looks like you had a wonderful time. Happy Birthday to your mum too! Love the kittens cal! (and your adorable pup).. Happy New Year! pretty necklaces. 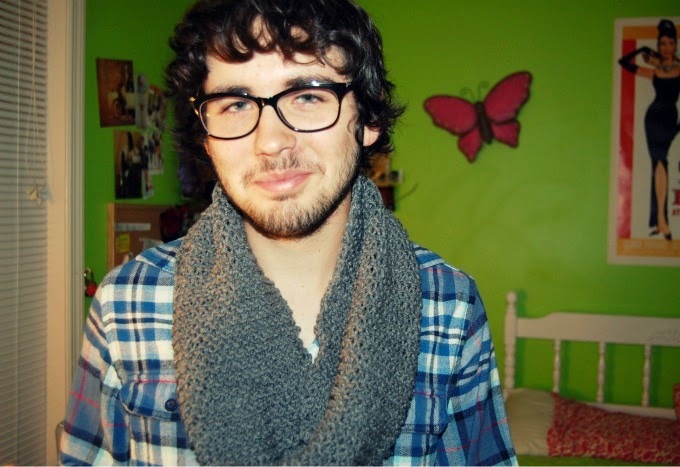 and i love the scarf you made. 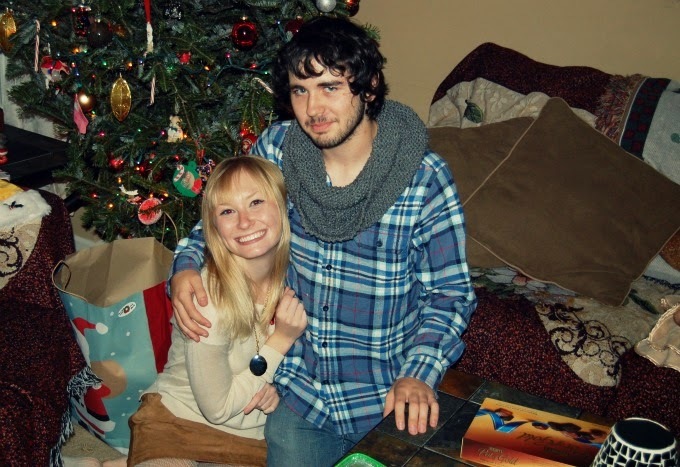 wish my hubby would wear scarves. 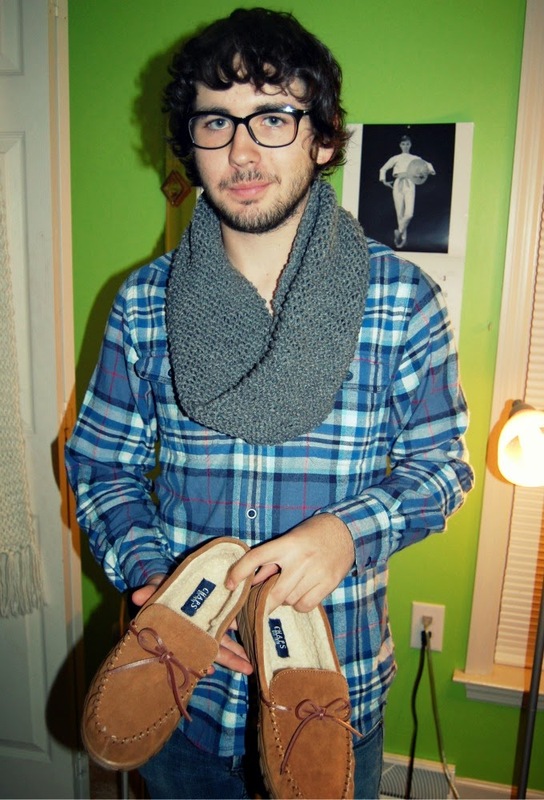 they look great on everyone! a handsome honey is one thing, a diamond toting handsome honey is a totally different ballgame! looks like you had a delightful christmas.. great blog! 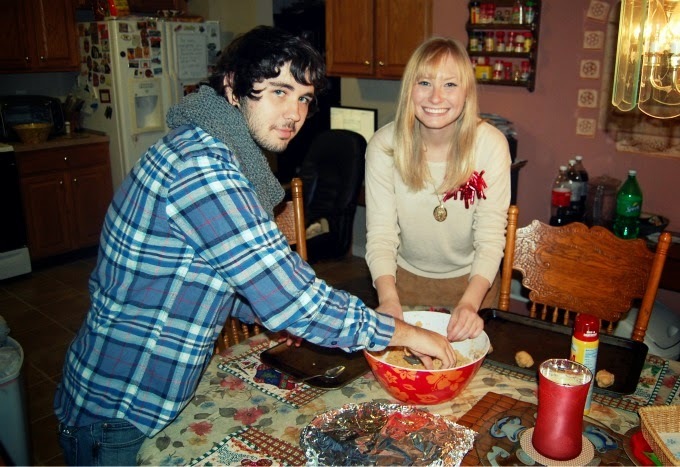 This is a cute tradition! I love how you're all SUPER smiley in the photos and he's got that look like, "You're going to put these photos on your blog aren't you?..." My husband totally makes that face too haha! 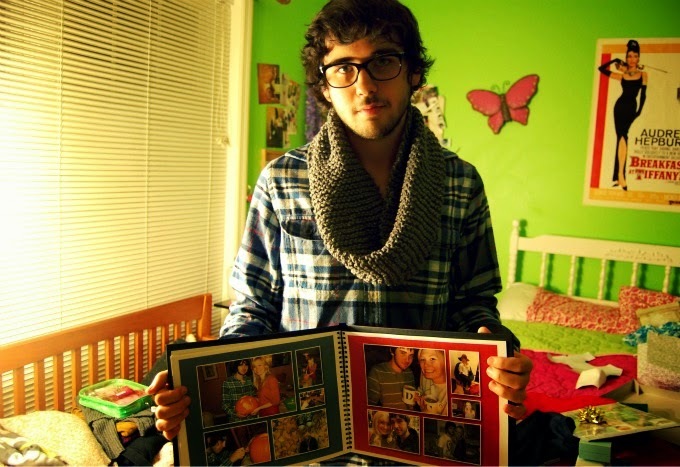 that picture book is so sweet and i love your onesie pajamas! happiest birthday to your mom and a happy new years! What an adorable and happy post! 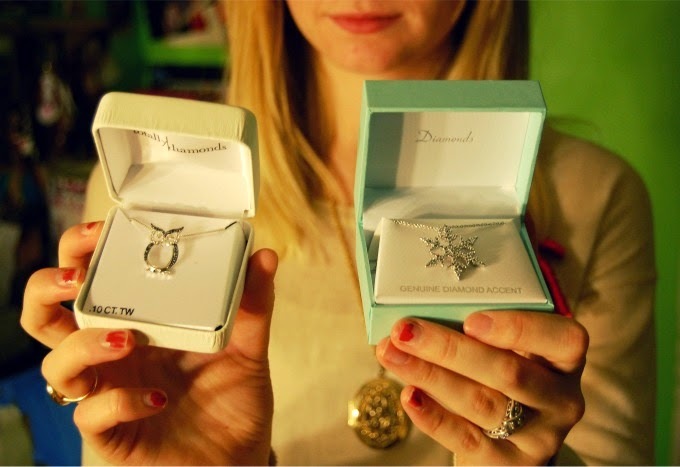 I love the diamond snowflake necklace. It's stunning. Happy new year and happy birthday to your mom. I loved this post. 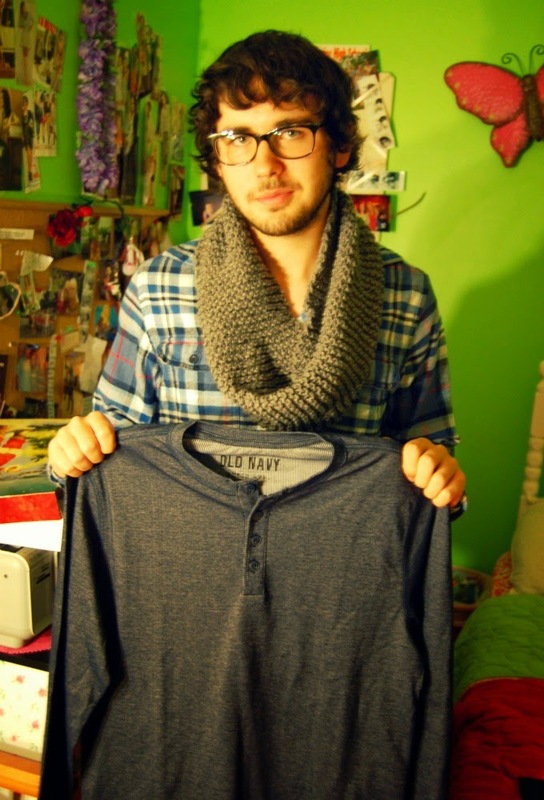 You're absolutely beautiful and your Christmas gifts are adorable:) I'll definitely be checking your blog often. 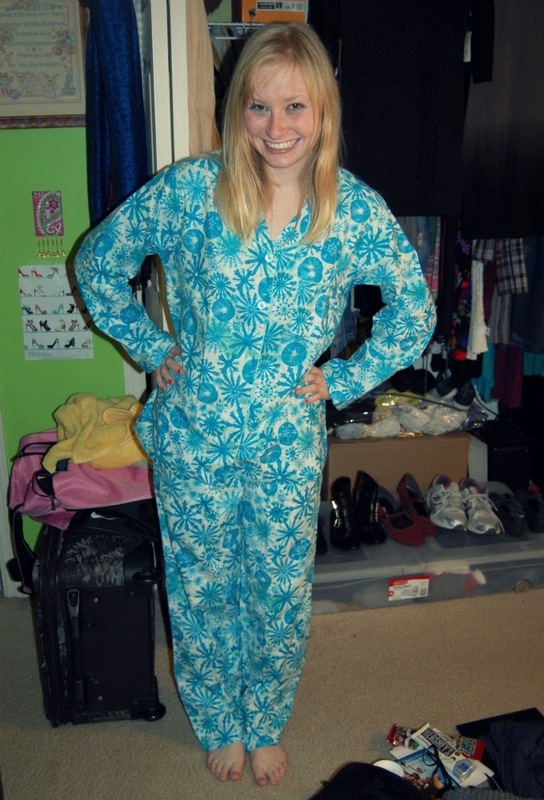 This post is great, looks like you had a wonderful Christmas :) and the pajamas you are wearing is awesome! lovely photos! looks like you had such a fun holiday:) great blog! I love the necklaces too! Have a wonderful 2012, all the best. You have the most beautiful shade of blonde hair! 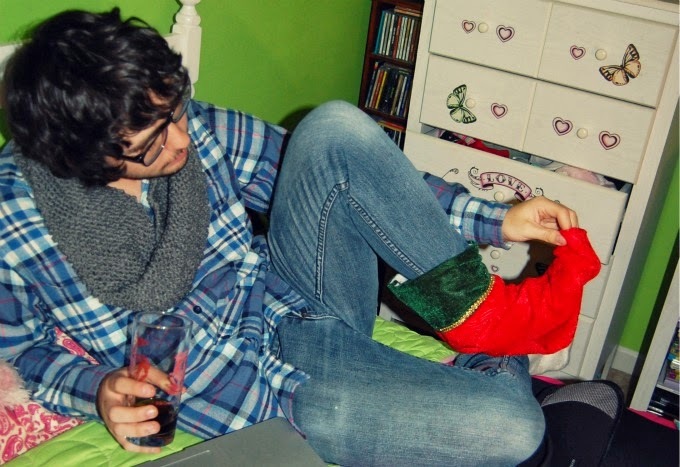 My husband always tries to put the stockings on his feet too! You look adorable in your pj's!